It’s not a secret that I love, love, love books and magazines. I have an ever growing library of craft books and enjoy flicking through them when I’m in need of some inspiration. Is there anything better than flicking through a beautifully photographed vintage stitching book, with your morning coffee? Gifting books to friends and family is also something which I love to do. Books are a gift which keep on giving, right through the year. Especially if they’re filled with lot’s of projects that inspire creativity. Here are a few books which I’ve been reading, flicking, exploring, enjoying, ooohing, aaaahing and which are currently inspiring me. This beautiful book is contains a collection of projects to help make your family celebrations, extra special. There are so many celebrations throughout the year – birth, birthdays, weddings, Christmas, Easter – and this book is about the making of decorations and gifts for these events. Celebrate with a Stitch is a beautifully photographed book. But, as well as beautiful photos, the book has excellent images to teach the reader some basic embroidery stitches. Stitches which are the foundation of most stitching projects. What is extra special is that there are images for both right and left handers (something which we don’t see very often). There is a section in this book, dedicated to bunting. Yes, all about bunting! Nothing says celebration like a string of bunting and after seeing all of the pretty examples, I was inspired to create some of my own Christmas bunting. 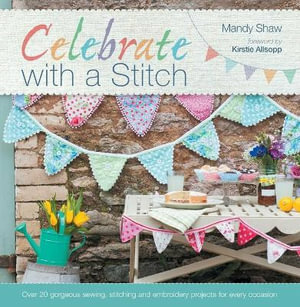 Celebrate with a Stitch is available at Booktopia or CanDo Books. This is a book filled with a collection of vintage inspired craft projects. Fun and practical projects that are simple to make and perfect for anyone wanting to embrace a vintage lifestyle. 101 Ways to Stitch, Craft, Create Vintage is divided into fashion, food & drink, gifts, home & garden, techniques and offers the reader the opportunity to try something new and expand their crafting skills. Fashion includes projects like a vintage fabric corsage, a vintage print quilted make-up bag or a broomstick crochet scarf. Food & Drink is my favourite section and includes some delicious recipes which I am hoping to try over the next weeks. 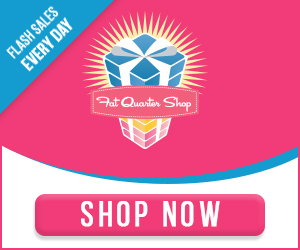 Recipes such as, lemon and sultana shortbread, crystallized rose petals, egg custard tarts and strawberry vodka. The gifts section has some lovely ideas to make for friends including some vintage button signage (using mismatched buttons – which we all have in our craft rooms), pretty floral bunting and an embroidered sewing needle case. There is also a pattern for a crocheted tea set, which is just perfect for a child’s play set. Home & Garden includes some lovely vintage inspired projects, which will make you want to start working on them immediately. Some of the projects in this section include a pretty teacup candle (remelting wax into a vintage teacup to make a pretty up-cycled candle), antique doily cushion (a great way to use precious gifts, handmade by grandma), a chair back tidy (great idea for the sewing room) and a polka dot pan holder (which is part sewn and part knitted). This stunning collection of craft projects will inspire you to stitch, craft and create your very own vintage lifestyle! 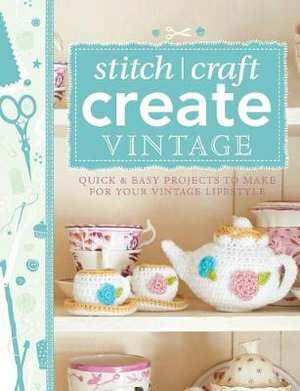 101 Ways to Stitch, Craft, Create Vintage is available at Booktopia and CanDo Books. Home is where the heart is, and the heart of every home is the kitchen. Stitching for the Kitchen includes 30 easy projects to make for the home. 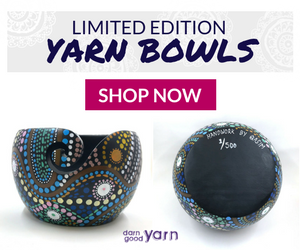 You will be inspired to sew, patchwork, applique, crochet and embroider beautiful handmade projects, not only for your kitchen, but for your friends and families too. This book is beautifully photographed, with excellent step by step instructions on how to make each project. The embroidery patterns are printed on the last few pages and there is a large folder in the back with the full size patterns for things like aprons and bags. Not only does this book have wonderful new projects and ideas, you will also find some delicious recipes sprinkled within the pages. The Warm and Toasty Toaster Cozy is accompanied with a recipe for Irish Caraway Bread. Stitching for the Kitchen is thick cover, spiral bound book which is just fantastic – especially when you’re trying to follow instructions, as it won’t close itself and you lose your placing. How many times have you been following a pattern and the pages just flip closed? Honestly, the ladies at Gooseberry Patch have thought of everything when creating this book and it’s a wonderful addition to the sewing library. I highly recommend this book – especially if you love to make handmade gifts for your friends and family. Personally I have followed a some of these patterns and made a few things to gift family this Christmas. I won’t show you just yet, as I wouldn’t want to ruin the surprise for them. Stitching for the Kitchen is available at Booktopia and CanDo Books. Do yourself a favour and add this one to your Christmas wish list. Verna Mosquera of The Vintage Spool pattern company and fabric designer for Free Spirit, shows readers how to add a romantic, vintage charm to their everyday lives through 20 charming, useful and beautiful sewn projects. A Sewn Vintage Lifestyle has instructions for everything from bags, aprons and patchwork pillows to applique quilts and embroidered wall art. Readers will love creating a handmade vintage lifestyle. The projects in the book are grouped into Entertaining & Gathering, Refreshing & Rejuvenating and Relaxing & Resting. There are so many beautiful things to make and the reader will not be short of ideas or inspiration. Verna has assembled excellent step by step instructions for applique and embroidery plus guides for cutting and piecing. The instructional photos are clear, concise and perfect for the beginner or intermediate sewer. A Sewn Vintage Lifestyle is a wonderful book for the crafter who enjoys creating beautiful, appliqued or stitched projects. Many of these projects aren’t quick finishes and will take time to complete - but the end results will definitely be worth the time and effort. Available at Booktopia and CanDo Books. 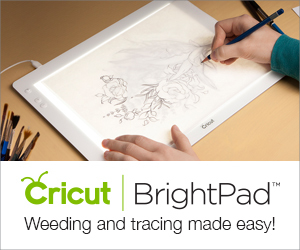 Transform your home with beautiful, seasonal craft projects to stitch and sew. Lynette Anderson has some quirky designs and a very distinctive palette which are the perfect combination for creating beautiful Autumnal projects. Lynette is a well known Aussie designer. She has a fantastic blog where she shares her work and adventures. Lynette is very generous lady and has many free patterns on her site too. Stitch it for Autumn is a fun book filled with seasonal stitching projects. The 8 projects are warm and help welcome in the cooling weather. The book features a General Techniques section which describes the basic techniques needed to make and finish the projects in this book. It’s great for beginners who have an interest in stitching and country inspired projects. The projects in Stitch it for Autumn include a quilt, purse, tea cosy, pillow and even a punch-needle design basket. The back of the book is where you will find the patterns to transfer onto your own fabrics and work with. Lynette includes the embroidery thread colour guide for her projects – with both Cosmo and DMC thread codes. Stitch it for Autumn is available at Booktopia, CanDo Books or Lynette’s own store,The Little Quilt Store. 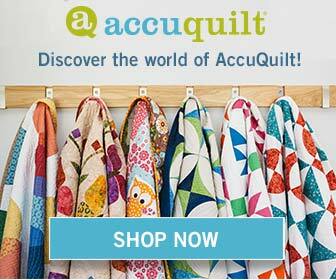 Incredible modern quilts from everyday inspirations. Quilt Improv is a fun book by Lucie Summers. It’s bright, colourful, happy, improvisational… and fun. That’s the word which comes to mind when I flick through the pages of this book. Lucie Summers, who blogs at Summersville, has created a wonderful book, sharing her improvisational style. 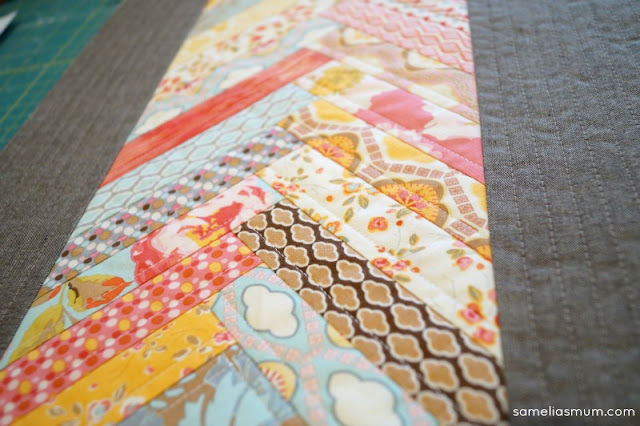 Admittedly, improv quilting isn’t for everyone, but in a lot cases, it could be that the quilters aren’t sure of what to do, where to go, or how to create a quilt without a pattern sheet to follow. Quilt Improv is divided into a couple of main sections. The first main section is called The Building Blocks. This section describes in step by step details, how to create the 13 base block units. Most of these are can be traced back to traditional blocks, but with Lucie’s improvisational twist. I absolutely adore her take on the Log Cabin block and the Chevrons. The second section of the book is where we find Lucie’s larger quilts. Here she shares the inspiration behind them and gives guidance on making them, using the blocks (in all sorts of combinations) from the first section. It truly is a vibrant and enjoyable book with a tonne of new ideas. If you know a quilter who likes quilts which are non-traditional, a little quirky and who likes to try new methods, this is the perfect book for them. Disclaimer: I received copies of these books to review. All thoughts are my own and any links provided are NOT affiliate links. Looks like great books!!! Thank you for sharing!! Have a super great sewing and stitching and book day!